ACIAC Director Jocelyn Chey attended by invitation the first round table discussion between Australia and China on 27 September 2016 in Adelaide. The meeting was chaired by Dr Stephen Arnott, First Assistant Secretary, Department of Communication and the Arts. The Chinese delegation was led by Mr Zhai Deyu, Deputy Director General, Ministry of Culture, and speakers included leading figures in Australian and Chinese cultural circles such as Mr Rory Jeffes, Managing Director, Sydney Symphony Orchestra, Ms Anne-Marie Schwirtlich, Director-General, National Library of Australia, Mr Carrillo Gantner, Chairman, Sydney Myer Fund and Playking Productions and Playking Foundation, and Professor Nicholas Jose, Adjunct Professor, Western Sydney University. 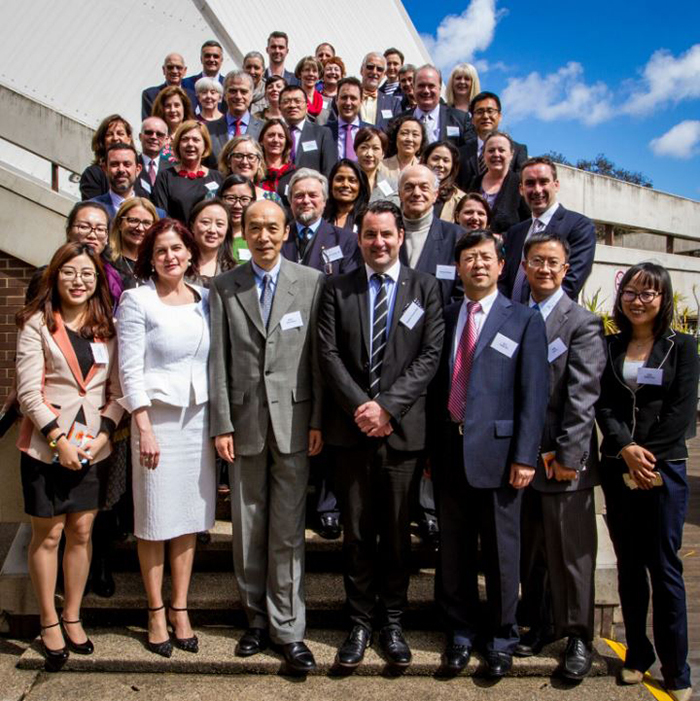 Above: Group of attendees at Australia-China Cultural Dialogue including Jocelyn Chey. Photo credit: Adelaide Festival Centre. Thumbnail image on Highlights page: Photo credit: China Cultural Centre (Sydney) (opens in a new window). AAPPAC Annual Conference 2016.